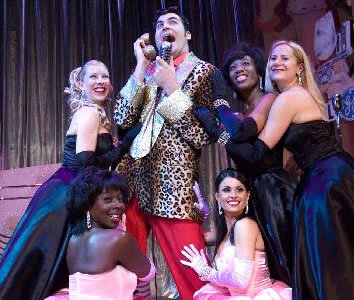 Guide to the London stage musical "Buddy"
This page is a brief guide to the stage musical Buddy. 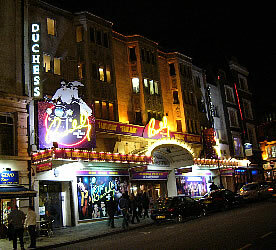 It is currently being staged in London's West End at the Duchess Theatre. This show closed on 7 February 2009. 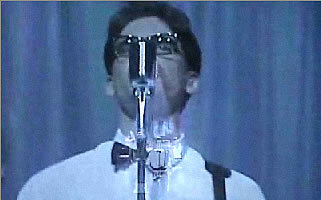 Buddy Holly: the young American singer who had many hit records at the end of the 1950's. He was only 22 when he died. Maria Elena: a Puerto Rican lady who met Buddy while working as a receptionist for a music publisher in New York, and married him soon after. She was pregnant when Buddy died, and later suffered a miscarriage. The Big Bopper: Jiles Perry Richardson, known as "J.P." to his friends, was a Texan disc jockey who also performed rock'n'roll using the name "the Big Bopper". His most popular record was called "Chantilly Lace". Ritchie Valens: an American rock'n'roll singer, songwriter and guitarist. He is most famous for his version of the song "La Bamba". He was only aged 17 when he died. 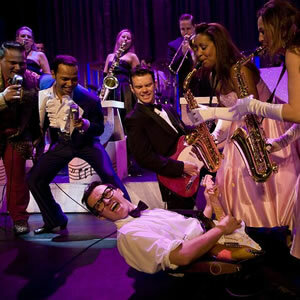 The Big Bopper sings "Chantilly Lace"
The musical is based on the true life story of Buddy Holly. 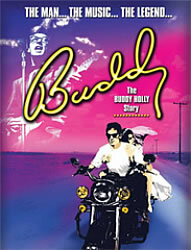 The first half follows Buddy's short but very successful musical career, and his relationship with Maria Elena. 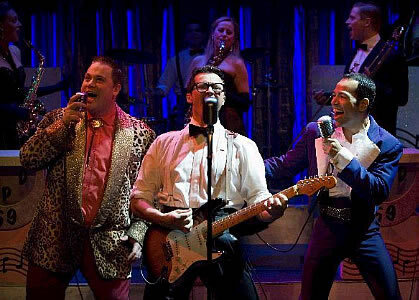 The second half is based on the performances of Buddy Holly, the Big Bopper and Ritchie Valens at the Surf Ballroom in Clear Lake, Iowa. After the concert all three men, together with the pilot, died in a plane accident. - A version of Heartbeat was a hit for Showaddywaddy in September 1975. The song is also used for the name and opening music for a long-running Sunday night drama series (set in a Yorkshire village in the 1950's). - Los Lobos performed a version of La Bamba for a film about the life of Ritchie Valens, and this went on to become a big hit in the UK in July 1987. Peggy Sue was the girlfriend of the drummer (Jerry Allison) in Buddy Holly's backing group The Crickets (the song was originally going to be called Cindy Lou, the name of the daughter of Buddy's sister). Buddy wrote a follow-up Peggy Sue Got Married and recorded a demo version in December 1958. After Buddy's death this tape was discovered in his flat and it was released as a single. The song American Pie by Don McLean (released in 1971) starts with the singer's memories of "the day the music died", referring to the day in February 1959 when he heard the news about the death of Buddy Holly together with the Big Bopper and Ritchie Valens. Click on the link to hear the song and to read an explanation of its lyrics. And, maybe, theyd be happy for a while. With every paper Id deliver. I couldnt take one more step. Every day - it's a-getting faster, everyone says "go ahead and ask her"
Come what may - do you ever long for true love from me? Heartbeat - why do you miss when my baby kisses me? Heartbeat - why do you skip when my baby's lips meet mine? English: The story is simple and easy to follow. American accents are used. Even if you don't understand the short sections of speech, there are songs throughout the performance so you can enjoy the music and dancing. Age: This is a "feel-good" show which is suitable for all ages. Children under 5 are not admitted, but older children will probably enjoy it. If you are over 60 you may remember when the original songs were released, but if you are younger you may know many of the songs because of the many cover versions which have been made. 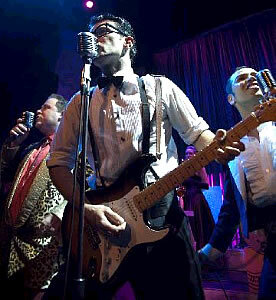 Music: The actors are musicians and perform songs live on stage. You will enjoy this show if you like 50's rock 'n' roll music or simply enjoy energetic live pop performances.